Miyarrka Media formed in 2009 inspired to create a new kind of shared art and film practice. From the outset we sought to use media in ways that resonated with Yolngu aesethetic and social values while enabling alternative avenues for creativity and social engagement. Under the guidance of Miyarrka co-founder, Paul Gurrumuruwuy, the Yolngu (Aboriginal) and Balanda (non-Aboriginal) members of Miyarrka collaborate on all stages of production from conception through to the editing and installation. Miyarrka Media operates under the auspices of Gapuwiyak Culture and Arts Aboriginal Corporation. Paul Gurrumuruwuy is a senior member the Dhalwangu clan from Northeast Arnhem Land. Over the past thirty years he has travelled extensively first as a performer, then as creative director of the Yalakun Dancers on tours to Europe and Asia. He has also worked as an actor on a number of Hollywood and Australian films. Jennifer Deger has worked with Yolngu on experimental media and art for almost twenty years including the projects Gularri: That Brings Unity (Warrwarrkpuyngu Yolngu Media) and Bol’ngu Dhawu Dhuwalkitjpuy co-directed with Susan Marrawakamirr. The recipient of a number of research fellowships, including her current position as an ARC Future Fellow at the Australian National University, Jennifer has published widely on experimental ethnographic methods, Yolngu aesthetics and indigenous media. Her book Shimmering Screens: Making Media in an Aboriginal Community was published by the University of Minnesota Press in 2006. 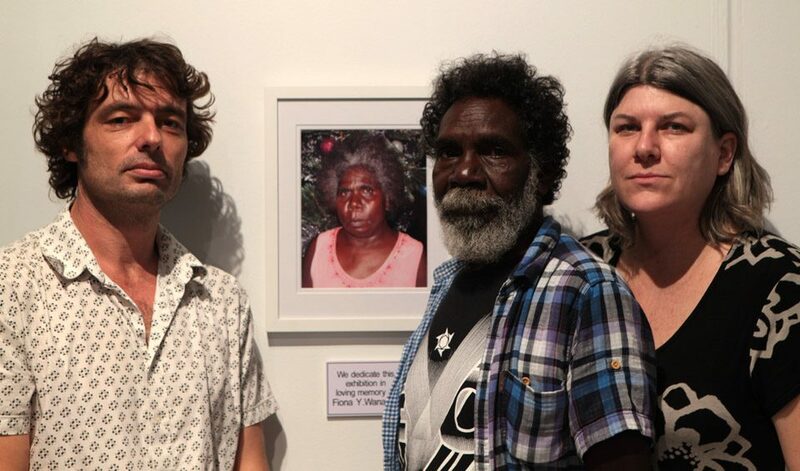 In 2009, she curated the exhibition interventions: experiments between art and ethnography; and in 2012 exhibited the video artwork, my red Yolngu heart. David Mackenzie is a film maker and video artist who works independently and collaboratively across a broad range of media projects. His video installation and video screening works have been exhibited both nationally and internationally. David’s body of work crosses the genres of art, ethnographic film, documentary and participatory media. He has worked collaboratively on major video installation projects including theweathegroup_u at the 2008 Sydney Biennale and the Museum of Contemporary Art, Sydney (2010) and with artist Susan Norrie on Havoc (2007, Vennice Biennale). David is currently working on a documentary project from East Java and on several ongoing art and documentary projects with Indigenous groups in the Kimberley and Arnhem Land. He is a founding member of theweathergroup_U and Miyarrka Media.